Russel has now collected many of his ideas into this book, which can be purchased from your usual online retailer. The book is split into 10 sections which range from knowledge, to display, to particular skills such as essay writing. 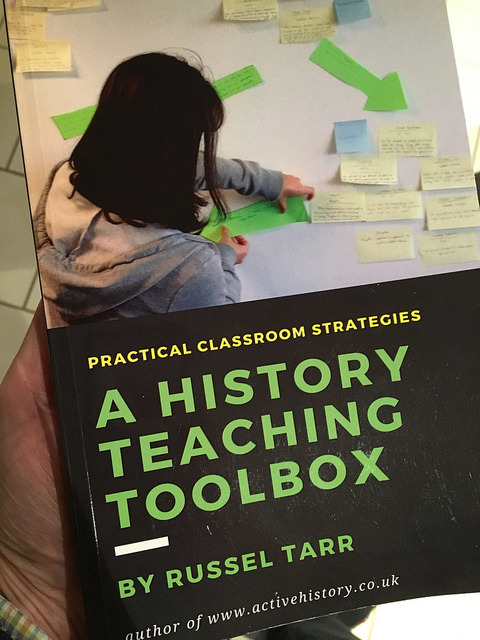 This format works well, and provides a variety of strategies for teachers of all subjects and levels of experience from the NQT to the experienced teacher looking for a new angle on teaching new topics. This book would be a great addition to any geography department's professional library, and form the basis for some discussions relating to pedagogy, and the teaching of some of the more controversial topics that we have to guide students through - my current conflict teaching on Israel-Palestine requires a balance which connects with some of Russel's ideas for teaching political and social history. A quick flick through the book gave me a rough tally of about 40% of the ideas and tools that I'd already used in my teaching- ranging from hexagons (get yourself a Fiskars hexagon cutter as I have and use Russel's web tool which provides hexagons the same size ready for cutting out) to designing accessories for Playmobil (or Lego in our case) figures. The ideas will need a little adaptation of course to take them from a historical focus to a geographical focus.